Hang César from the baby seat and he will go everywhere with you. But what’s this? Surprise! 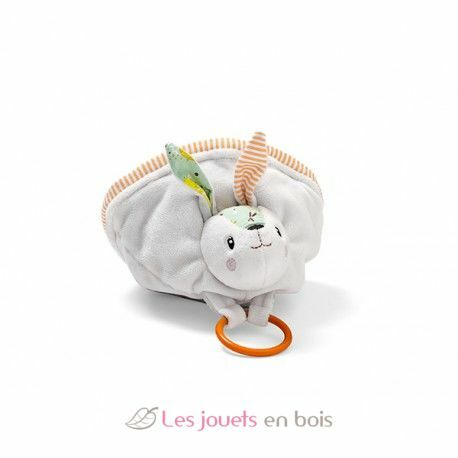 César has a trick up his sleeve : he is reversible and can transform into Célestin the rabbit holding out a flexible teething ring. César reversible rattle made by Lilliputiens, item number 86818.